HCM City (VNA) – A training programme for Vietnamese consultants, co-held by Samsung Vietnam and the Ministry of Industry and Trade (MoIT), is estimated to host 100 trainees this year, raising the total number of trainees in 2018-2019 to around 200. The programme is comprised of four courses, with each running for 13 weeks. Hanoi and HCM City will host two courses each. At the opening ceremony in Ho Chi Minh City on April 16, Deputy Minister of Industry and Trade Do Thang Hai said that over the years, Vietnam has received support of the government, organisations, and firms of the Republic of Korea in various cooperation projects in the industrial sector. 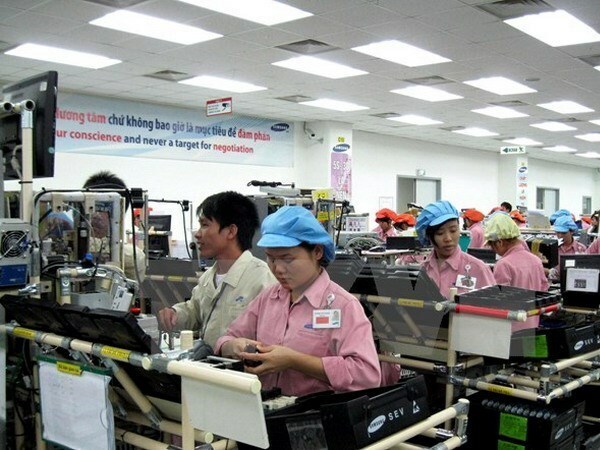 Cooperation between Samsung and the MoIT since 2014 has to date contributed to raising the number of first tier suppliers in Vietnam, as well as those participating in the supply chain of Samsung and the world, he added. Hai said that the 2019 training programme for Vietnamese consultants in quality and manufacturing improvement is among the framework of practical activities for the Vietnamese business community. After the programme, the trainees are expected to become consultants and provide their knowledge and skills in manufacturing improvement projects of businesses.